Marketing and corporate businesses use newsletters for communication, and today’s companies usually send newsletters in email form to promote or spread news about their organization or its products and services. A newsletter can be sent to existing customers and can also be used to attract new customers. For businesses, newsletters are one of the most important means of advertising and communicating ideas. Usually sent via email, newsletters allow brands to reach current readers and target prospective customers. They allow companies to share updates, website content or product advertising directly to registered subscribers. These mailings have two major benefits: select targeting and customization. Newsletters are therefore extremely useful for generating traffic, spreading content or supporting content marketing actions. Readers and customers can then be easily guided towards specific content in your own blog or on your website. 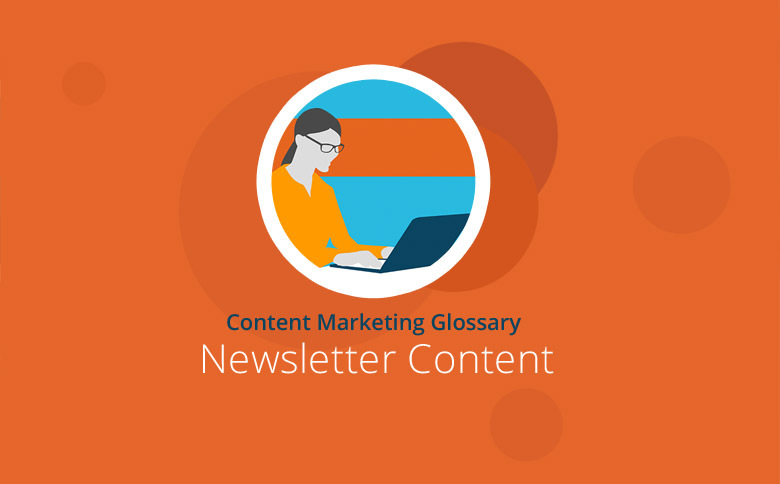 What content a newsletter should include will depend on a company’s goals, the purpose of the newsletter and the target audience the mailing will address. Newsletters are often used to publish actual news items, disseminate website content or promote online store products. For this purpose, the sender will write one or more brief teasers in an email and send it to some or all of the registered subscribers. The content of a newsletter can be easily tailored to the needs of the recipient, and the more information the sender has about the recipients, the simpler it is to address that target audience. So an editorial may, for example, recommend similar articles elsewhere in the newsletter, based on the articles a user has previously read. Likewise, a shop owner can selectively offer products a user has viewed earlier that match products the buyer has already purchased. Often online marketing departments or editors will offer free content to encourage users to register. When subscribing to a newsletter, users can obtain free e-books, white papers and podcasts, or alternatively, they may also be invited to sign up to a provider’s newsletter when downloading free content. Businesses may also email newsletters offering free content to previously registered recipients, perhaps to increase their reach, strengthen customer loyalty or reactivate customer interest. In addition to the content, the writing style of a company newsletter also depends on the purpose of the mailing and the target audience. Whether the reader is addressed directly or a more sophisticated style of speech is used should be determined by who the sender wants to reach and the end goal. A newsletter includes text and graphic elements. These can be optimized to match the content and the email recipient. After the sender, the subject line is the first thing the email recipient will read. To stimulate the reader to make a decisive click, do not make it too promotional or dry and boring. If the sender uses certain expressions, there’s danger of the email ending up in spam folders. The subject line can be personalized using a database, making it possible to specify the name and address of the recipient. However, a shop visitor’s purchase history can also be used – for example, a subject line containing a product recommendation based on previously purchased products encourages the recipient to open the mailing. The introduction of a newsletter should generally contain just the most important information plus a transition to the rest of the content. By doing this, the author reduces the risk that the user will lose interest before reading the actual content. Teasers will often include actual newsletter content. An email sent as a newsletter usually contains at least one teaser that directs the reader to another site with articles, products or other content. A teaser will provide the user with a brief overview of the remaining content and pique curiosity to explore further. So it must be carefully crafted to appear both informative and exciting, and to prompt the reader to click, it should be simply written and clearly structured. So place a meaningful title or the most important keywords in front of a colon at the beginning of the teaser. A call-to-action can increase the click-through rate and should be placed after any teasers. Here, a graphic element in the form of a button can be incorporated. Clear labels such as “Click here to learn more” can help the reader find more information available. For a great close, follow the style adopted on sites such as the sender’s social media presence. Whether the email is signed by a single person or on behalf of the whole team is a matter of preference. Whatever decision is reached, the recipient should always be offered contact information and be given the opportunity to unsubscribe from the newsletter. Images can give the whole email a more engaging format. This is particularly true of newsletters containing product announcements where images can enhance the text because potential customers will get a better idea of content on the product page they are invited to visit. Graphics can also attract attention when placed in the introduction. Images used in newsletters should always clearly relate to the text to avoid confusing the reader. To prevent large files causing unnecessary delays when opening an email, newsletter graphics should always add clear value, be limited in file size and always serve a purpose. Remember too that not every mailbox application can open email graphics, so a mailing must also function without its images. There are a number of suppliers, who specialize in the delivery of emails and newsletter mailings. They generally provide users with tools for writing a newsletter, organizing and filtering options for recipient lists, and analysis programs for the evaluation of mailing campaigns. These applications are often very helpful for efficient marketing because they supply the user with all the necessary information, tools and analytics from one single source, thus automating the sending of newsletters and making the process easier and more efficient. MailChimp and CakeMail are examples of programs commonly used for email and email marketing. Even in times dominated by social media, newsletters are still an effective marketing tool. Digital newsletters are normally sent in email form. The content is heavily dependent on the sender’s company strategy, purpose and target audience. This can be corporate news or product advertising (provided by an editorial team) or products (on behalf of a store). A newsletter’s tone will be governed by a company’s goals and general style of communication. Professional mailing or newsletter programs can automatically customize individual newsletter elements and thus offer a targeted and responsive means of contacting readers. Newsletters can generate traffic and increase customer loyalty. They should be part of every marketing strategy and also accompany every content marketing action.